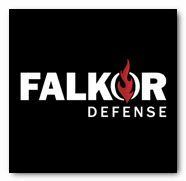 FALKOR DEFENSE is an engineering, aerospace and firearm manufacturer of AR platform weapons located in Kalispell, Montana. Xtreme Guns and Ammo is Proud to Offer the FALKOR’s Magnum AR Rifle line to its Family. FALKOR is a world class firearm manufacturer, with a doctrine that emphasizes research and development that produces ingenuity and innovation. FALKOR Defense is located in Kalispell Montana, where its 50,000 square foot facility manufactures its products using the latest aerospace technology in CNC Machining, Anodizing, and Assembly. Its products are 100% made in the U.S.A and are held to the highest manufacturing standards. As FALKOR’s Defense system continues to evolve, its legacy continues to grow as one of the most innovative, accurate, and reliable firearm manufacturers in the world. The mission is to continually exceed the expectations of the consumer by delivering firearm technology that is relevant and value added without jeopardizing quality and reliability.